Every day, scammers invent new ways to get money out of gullible citizens. We are used to getting different spam via email and it seems that it always existed. But technology doesn’t stand still and for the last couple of years, there appeared a new kind of scam that is called “Call from scam likely”. Nowadays two mobile providers offer the feature that detects suspicious mobile numbers. If someone calls you, your mobile operator checks this call via a database. If it looks suspicious, then the caller’s number is marked as “Scam Likely”. Thus, you can decide whether to pick up the phone or no. Such calls affected a sufficient number of people who didn’t trust the inscription and picked up the phone. Therefore, in order to avoid troubles, follow the tips. You won! Special schemes of fraud are usually reduced to several varieties: these are contests and lotteries or personal calls with some incredible services that are available only to you. In the first case, a person is offered to answer a question and win a large sum or scammers tell victims that their phone number has become a winning one, and all that remains is to receive a prize. While you are talking, your money can be stolen from the phone. Call from a bank. You are informed that unknown persons tried to steal money from your card. To urgently resolve the issue, fraudsters ask for personal and card data. Then they take money from it. Remember that bankers will never ask you for personal data over the phone! If you have problems, you need to go to the bank and handle everything. Helping a potential soulmate. It’s a common thing for dating sites. You chat with a potential soulmate for some time, then he/she asks for your number, calls, you pick up the phone and lose money. In this case, you also should take a responsible approach to the choice of a dating site. For example, you will never face Jump4love scams because all users go through verification on the site. How to detect scams on iOS devices? The world-famous corporation designed a special function that instantly blocks messages and calls from scammers. The new patent describes a method that will allow iPhone users to defend themselves from unwanted calls from fraudsters, representatives of advertising companies, etc. Even though there are different ways to block regular unpleasant calls, scammers still find ways to circumvent these restrictions. One of these ways is to change the phone number. They make it so that a victim, who receives the call, sees some fictional number. Due to imitation, calls can bypass the blocking systems, as well as prevent users from seeing the actual source of the call before answering. As it is indicated in the company’s patent documentation, the new system is able to analyze the technical data of incoming calls and determine whether they are real or not. This system also detects calls hidden behind a fake subscriber ID. After determining the call, the system will warn the user that incoming calls are promotional or dangerous. How to detect scam likely calls on Android? The standard application for voice calls from Google phones has an update, thanks to which Nexus and Android will be able to warn owners about calls from potential fraudsters. The update supplemented the existing Caller ID option, which allows you to determine which organization owns the number from which the call was made. The new feature will allow smartphone owners to block calls from certain numbers or report suspected spam numbers. 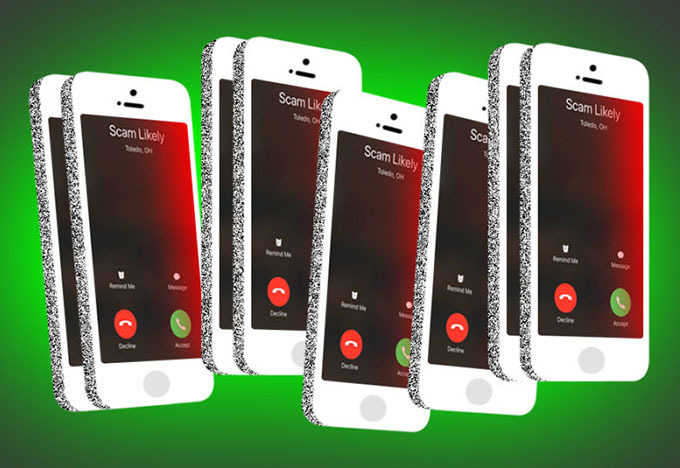 If the number is entered into the database of “suspicious”, then at the time of the call, it will be highlighted on a red background with a warning about a potential scammer. After rejecting such a call, the user can report to Google about it. The number gets into the database of spammers if Google receives notifications about blocking from different people. The company has also published instructions for using this feature. The updated application for Nexus and Android One devices can be downloaded via Google Play. How to protect yourself from scam likely phone calls? If you still picked up the phone, then how not to get caught on the scammers hook? What should alert you? 1. When talking on the phone, a scammer tries to lure money as soon as possible. Even if the voice is similar to the voice of your relative or friend – ask him/her a couple of personal questions. 2. Discrepancies in conversation. There are a lot of schemes of scams. And scammers can prepare their speech very carefully and rehearse answers to questions. However, they can’t be ready for everything (in most cases, they will not want to clarify the situation for a long time if they understand that you suspect something). When you begin to ask details, a scammer on the other end of the wire may begin to worry. 3. Never tell your personal information, no matter who the caller is. Even if supposedly bailiffs or a support service of the bank in which your savings are stored calls you. Do they ask for your passport data, PIN code, and some other information? Tell them that you prefer to go to the office and talk in person. 4. And most importantly, even if you or your loved ones have been deceived by fraudsters, contact the police and write a statement! Perhaps you are not the only victims of them. And by compiling the testimony of several victims, law enforcement officers will be able to apprehend the criminals. How to stop scam likely calls? Fortunately, modern smartphones are small computers and they can use software to analyze and control incoming calls. 1. You can turn on the “Scam likely call” feature and automatically block incoming calls with such a label. On most Android phones, there are two simple ways to block users. If you have the standard version of the operation system, you can enter your calls menu and block the number you want. If you use the iPhone, then click on the “calls”, choose the number you want to block, tap blue icon near the phone number, and block the user. 2. Download blocking apps. How to block scam likely calls? On Google Play and App Store, there are several apps that promise to protect your phone from scam and stop annoying calls forever. All of them require some settings, but they are not so difficult. So, you better spend some time installing the app than suffer from unwanted calls. 3. Don’t tell your phone number to everyone. Whether you are chatting on a dating site or social network, don’t be so quick to tell your number. Maybe you face a scammer. So, first of all, you need to “check” a person. Chat at least 3 weeks and only then you can make a conclusion about him or her. A real scammer will never spend too much time in chats. For today, there are many dating sites, but only some of them are safe. For example, Jump4love has no scam, so you can be sure that you will not be deceived by dishonest people.